Cyber harassment and cyberbullying entered the national conversation several years ago, as a number of tragic episodes were linked to use of the internet as an instrument of torture. One of the most horrific concerned Rutgers freshman Tyler Clementi, who took his life after his roommate used social media to “out” him as gay. In response, New Jersey enacted serious criminal penalties for online harassment. In addition, the state’s Anti-Bullying Bill of Rights Act sets strict rules for dealing with bullying in public schools or online against students. 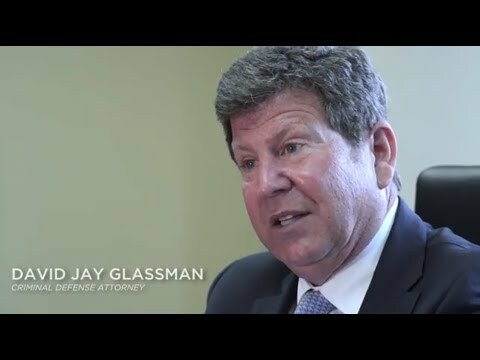 At the Law Offices of David Jay Glassman, we advise and defend students and adults accused of electronic bullying and harassment. With offices in Marlton, Hackensack, Newark and New Brunswick, we represent clients throughout New Jersey. Cyber-harassment is a fourth-degree crime, punishable by a fine of up to $10,000 and a prison term of up to 18 months. It becomes a third-degree crime if the perpetrator was 21 years or older and impersonated a minor while committing it. That raises the penalties to a fine of up to $15,000 and imprisonment for three to five years. It can take many forms — The crime can be committed by use of any type of electronic device or internet platform, including social networking and photo sharing sites. Intent matters — Legally, cyber-harassment only occurs when an individual intends to harass a person or make them fear for their well-being. Freedom of speech is not total — Language that incites violence or includes harassment or seemingly credible threats of bodily harm is not protected by the First Amendment. Cyberbullies can face additional charges — Cyberbullying is tried under New Jersey’s cyber-harassment law, but depending on the circumstances of a case, a prosecutor might also bring charges of stalking, harassment and making terroristic threats. It’s also important to know that prosecutors are able to bring other criminal charges when the online activity goes beyond threats or enticement and actually causes harm to people or property. Under the Anti-Bullying Bill of Rights Act, New Jersey public schools are required to adopt policies prohibiting harassment, intimidation and bullying, as well as policies for taking appropriate remedial action when they occur. When bullying happens off school property or outside the scope of school activities, including through cyber-harassment, the school can discipline the perpetrator if the behavior violates the rights of a student, emotionally or physically harms a student or their property or interferes with a student’s education or the orderly operation of the school. Freedom of speech — The right to express personal opinion is protected under the First Amendment as long as one’s words — including text messages, social media posts or other forms of electronic communication — do not pose a serious or imminent threat. Unintended consequences — Well-intended constructive criticism is not criminal, even if it causes emotional stress. False reports — Claims of cyberbullying may be made in retaliation or in an attempt to gain or distract attention. We refute allegations fueled by falsehoods. With the knowledge that no two cases are alike, our firm devotes focused attention to the details and dynamics surrounding each individual accusation, asserting all protections afforded by New Jersey law. At the Law Offices of David Jay Glassman, we devise and implement strong defenses for individuals accused of violating New Jersey’s cyber-harassment statute and related laws. With locations in Marlton, Hackensack, Newark and New Brunswick, we represent clients in every part of New Jersey. To schedule an initial consultation, call us at 866-221-1270 or contact us online.